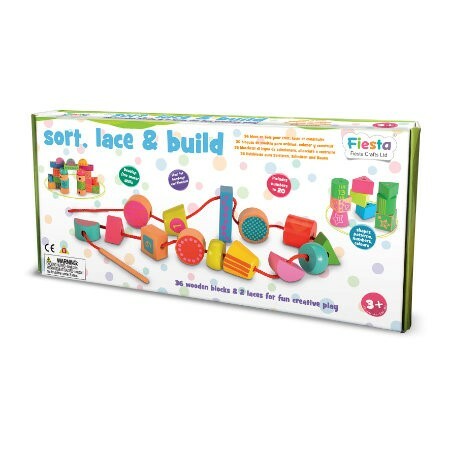 Children will love this Sort, Lace and Build Blocks set. 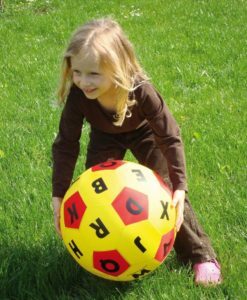 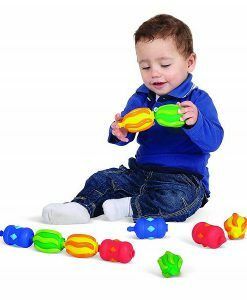 It is a great way to support their physical development and mathematics skills. 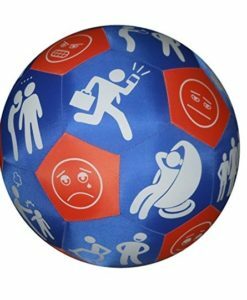 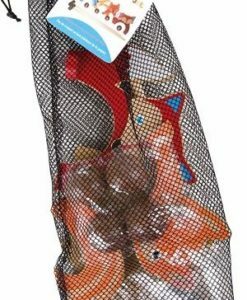 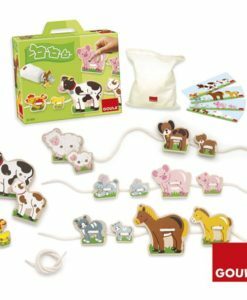 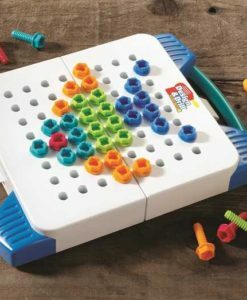 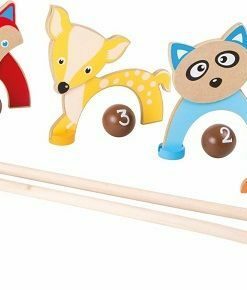 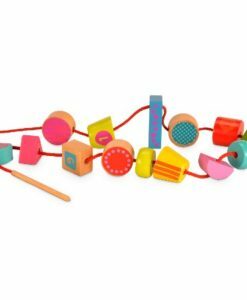 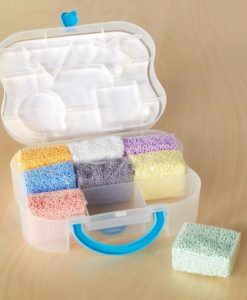 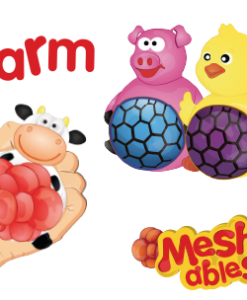 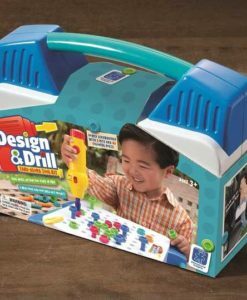 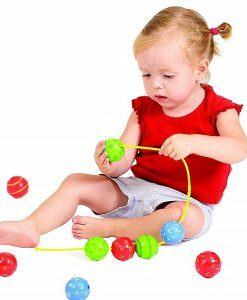 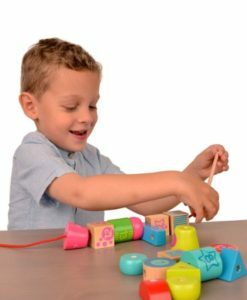 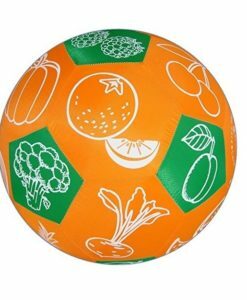 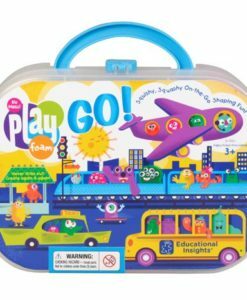 This set will also help children to improve their fine motor skills and hand-eye-coordination. 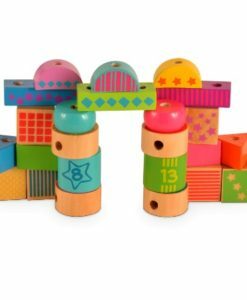 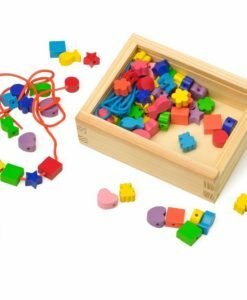 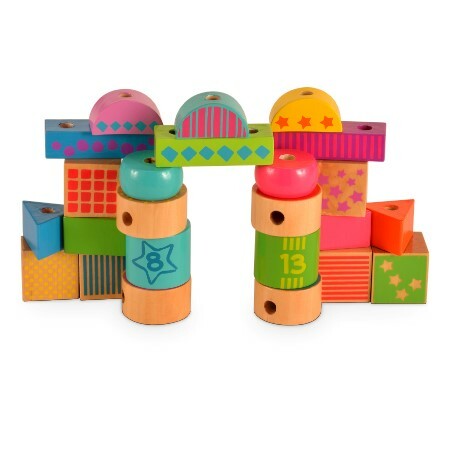 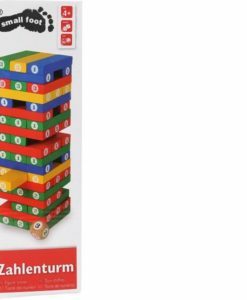 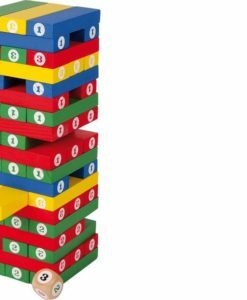 It includes 36 chunky wooden blocks that are the perfect size for little hands to hold. 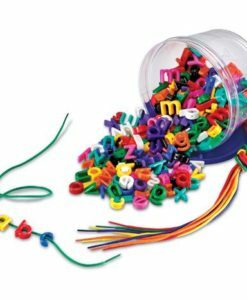 They can be sorted and threaded in a variety of ways. 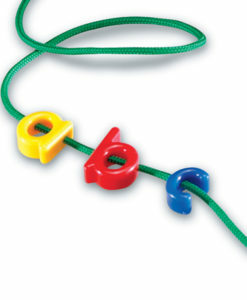 Children can organise, stack and thread the pieces into shape, sizes, colour, number and pattern. 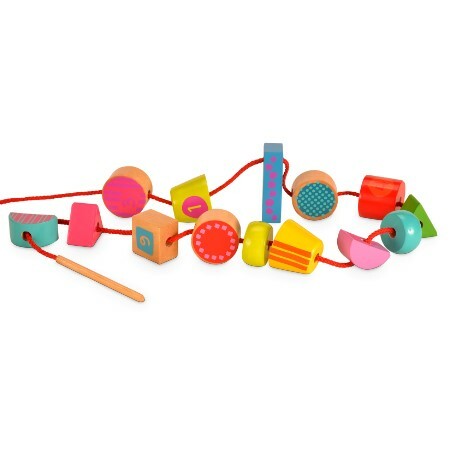 The different shapes and bright colours will keep children engaged and entertained while making their own creations. 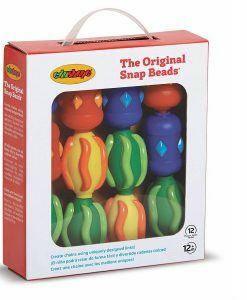 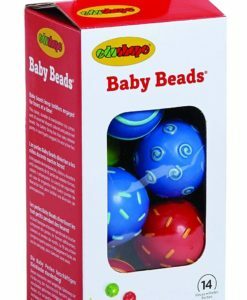 The lace has a wooden end which makes it easy for children to thread through the beads, or they can choose to stack the pieces to make their own structure instead! 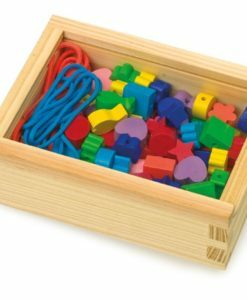 Each piece is decorated with a pattern, number, or both. 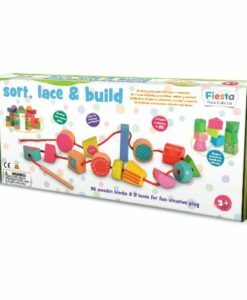 The numbers go up to 20 making the Sort, Lace and Build Blocks set a great way to help children improve their maths skills also.